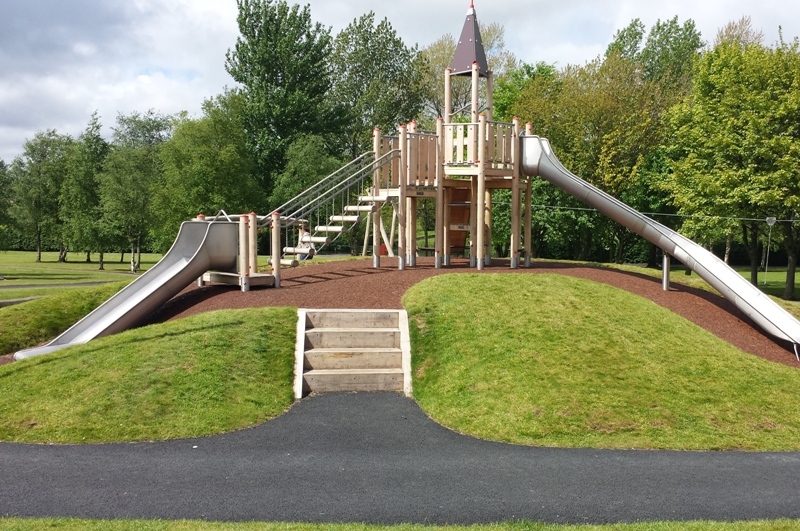 Large scale activity unit that includes a site specific Hill Slide with a fall of over 4m. Activity areas include platform steps, a wobble bridge and slide, covered tower encasing spiral stair case and curved slide. Materials give maximum resistance to vandalism while retaining high safety standards and aesthetically pleasing appearance.